Jeanine Valrie Logan is a birthworker, breastfeeding counselor, herbalist, youth ally, homebirth mama, food justice advocate, nursing student and future midwife. She has worked for various organizations advocating for birth justice and safe motherhood and is the current state representative and member of the International Center for Traditional Childbearing. Jeanine is also a mama blogger (www.itsbetterathome.com) and blogs regularly about breastfeeding, birth justice, and midwifery in the Black community. 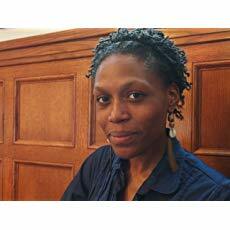 She is the co-author for the newly released book Free to Breastfeed: Voices of Black Mothers (Praeclarus Press, 2014). She lives in Chicago with her husband and two daughters.